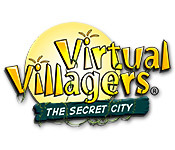 Virtual Villagers 3: The Secret City Walkthrough will help you grow your little people in real-time as you embark on a journey to re-populate the city ruins of Isola. Use this in-depth Virtual Villagers Walkthrough to help successfully guide your villagers through this entertaining sim game. In Virtual Villagers 3 is an exciting addition to the Virtual Villagers franchise. Help your village grow in real-time and help your people thrive on the beautiful island of Isola. But it's not going to be easy. You will need to search out new food sources to help feed your villagers as well as create new potions and find hidden herbs throughout the island. You will also be treated to real-time weather with clouds, fog, and sudden rain storms to enhance your gameplay experience in Virtual Villagers 3: The Secret City. Overview: Please note - Because of the random nature of this game, things may turn out slightly different for you. This guide was written using my own experiences while playing with my tribe, "WannaHawkaLugi" and borrowing from the game maker's forums. The legend of Isola and its lost tribe continues in this third installment! If this is your first foray into the world of Virtual Villagers, may I humbly suggest that you put this one on hold and go back and play the first two? Sure, you don't need to, but the first two games are rewarding and fun! Plus, you'll see how the legend of Isola unfolds. Even if you have played the VV games before, its always wise to run the tutorial at the start. It helps you get a feel for the new map and walks you through some of the first puzzles to get you on your way. Note: I played using the tutorial but I did NOT let my villagers have a child (per tutorial instructions) until I had established my village a little more than the tutorial advised. This left the "Replay Tutorial" at the top of the screen for a while but I feel it was worth that inconvenience. Once I had my villagers make their first child the tutorial ended. You may want to pause the game overnight (instead of leaving it running on "Slow" near the beginning. I left it running the first night and all my villagers starved! Once your village is built up a little, you can leave it running overnight on "slow" if you like. One aspect that I noticed had changed is that women can no longer have children past the age of 50. However, you can still make them "go indoors." This is a great way to build up parenting skills quickly (especially if you want to create an "Esteemed Elder" or have a villager master all five skills). An "Awards" section has been added to celebrate certain milestones in the game. At the very beginning of the game, you will find a piece of fruit (mine was a Banana) near a broken machine. Put a villager on it right away and he/she will plant it. This gets your "orchard" started and will help your villagers harvest more food so they wont starve. HINT: Make sure you train at least three builders right away. You need 3 adept builders for one of the earlier puzzles so train 'em early to avoid having to wait like I did. A nice change in this game is that if you accidentally interrupt a villager doing an important task (IE: Retrieving a key) the action wont be lost like it was in previous versions. All you have to do is set that villager back onto the task. There are more collectibles for the children to find in this game - Feathers (found all over), Shells/Coral (found near the water), Tortise shells (Found near the "Marriage Hut"), and Tablet Pieces (Found near the rubble). Note: The Table pieces only begin to appear once you've started clearing the rubble. We hope you enjoy our Virtual Villagers 3 Walkthrough!